When I arrived at Meteek this morning, I walked around the side of the shop to greet the chickens but I was stopped in my tracks by a different sort of feathery creature. On the ground in front of the billboard-sized rolling door there was a pocket-sized songbird. Unfortunately, it seemed that it had met its end against the tall, clear panes of glass in the door. Upon reporting my discovery, nobody felt good about it and there were several ideas for marking the windows to prevent further losses. This response struck me as quite conscientious, and the more I thought about it, the more I realized how thoughtfulness is a part of Meteek’s idea of best practice. I began to thinking about more examples of this and it dawned on me there was one literally right under my nose. 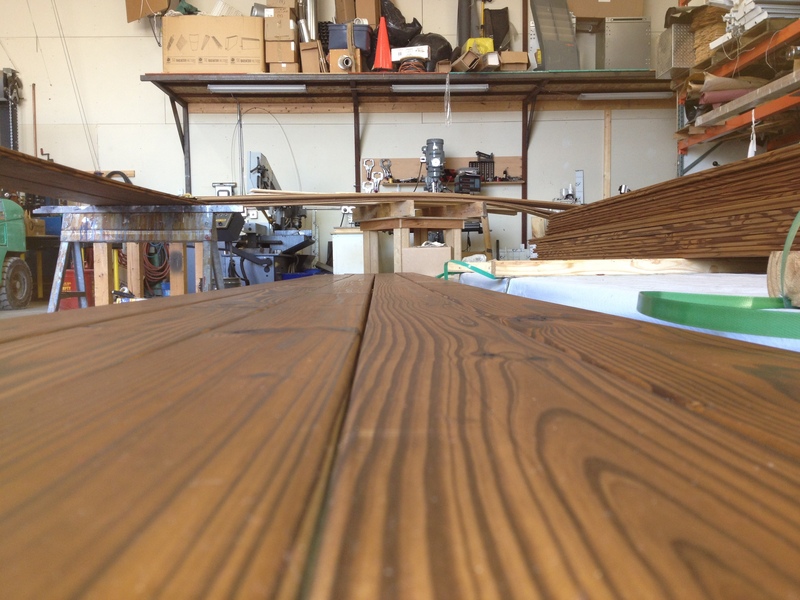 The boards I was staining for a current decking project were made of thermally modified wood. Thermally modified wood is a thoughtful product choice because it achieves a weathered finish while being easier on the environment. Transforming the cell structure renders anything in the wood that might be tasty to wood-munching insects inedible and makes it less susceptible to decay while remaining structurally stable and resistant to warping. The end result weighs less which makes shipping more efficient. Of course, these energy savings may be offset by the energy needed to heat the ovens. However, the most significant environmental payoff comes from not using chemicals to preserve the wood, the more common method in use. The chemical preservatives in pressure washed wood include arsenic, and other harmful substances. “Cooked” wood avoids any harmful chemical side-effects and functions just as well as pressure-treated wood. Whether it is a thoughtful gesture toward the other living beings affected by the Meteek world, or making smart product choices, thoughtfulness is part of the day-to-day at Meteek.